Life, in general, has become so complicated. If you don’t have some go-to stress reduction techniques at your fingertips, your cortisol and adrenaline can become elevated and cause some serious health issues. 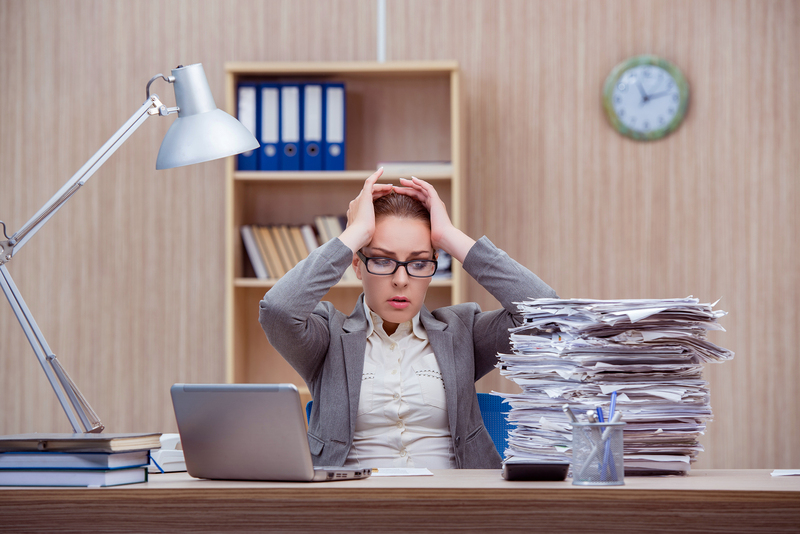 Stressors can be anything your mind or body perceives as being off balance. Nothing seems simple anymore and life is very fast-paced. People are stressed from too much to do in too little time. Technology is an example that can save time or waste time. It is great when it works, but when it doesn’t, it can wreak havoc in your life and hours could be wasted online or on the phone with tech support, securing passwords, troubleshooting issues or recovering data. This can activate the stress response, which is the outpouring of adrenaline and eventually cortisol. Adrenaline is released from the sympathetic nervous system and raises heart rate, blood pressure, and blood sugar. It diverts hormone production towards cortisol that will also raise blood pressure, blood sugar, cholesterol. It also breaks down muscle and bone, while storing fat and preventing the memory cells in your brain from regenerating. This works well during an acute situation where it is necessary to fight or flee. However, most of our modern day stressors are long lasting and this response doesn’t shut down. I will focus on stress reduction techniques that you can do on your own to balance your stress response. One of my favorite stress reduction techniques is deep belly breathing. It can be done anytime, anywhere and with anyone present. It involves controlling your breath. Fast, shallow breathing revs up adrenaline and the sympathetic nervous system that prepares you for fight or flight. You can willfully stop the stress response with a few rounds of deep belly breathing. While learning, practice in privacy. Put your hands on your belly and feel it expand as you breath in slowly and deeply. Try breathing in while counting to five. As you breathe out, slowly count to five-eight and feel your belly contract inward. When you are faced with a stressful situation, you can do away with feeling your belly with your hands. Slowly inhale through your nose, allowing your belly to expand while counting to five in your head. Let the air out from your mouth, allowing your belly to contract while counting to five or eight in your head. Repeat several times. That’s it! If you do this continuously and focus on your breathing while alone and quiet, this is considered a meditation. It is one of the most relaxing stress reduction techniques that has profound beneficial health effects on your mind and body. There are no side effects – just an activation of the parasympathetic nervous system that is calming and lowering cortisol, which is anti-aging. Tensing and relaxing muscles is one of the very basic stress reduction techniques that allows you to relieve muscle tension. You can start from the feet up or the head down and determine what you like best. This can be done at your desk or a private place, wherever you don’t have people watching. Tighten all of the muscles in your face, hold for a few seconds, then release. Shrug your shoulders and tighten your neck, hold for a few seconds, then release. Do this with both arms and hands, then your back, then your legs and feet. You can follow this with other stress reduction techniques such as belly breathing or meditation for a more powerful effect. 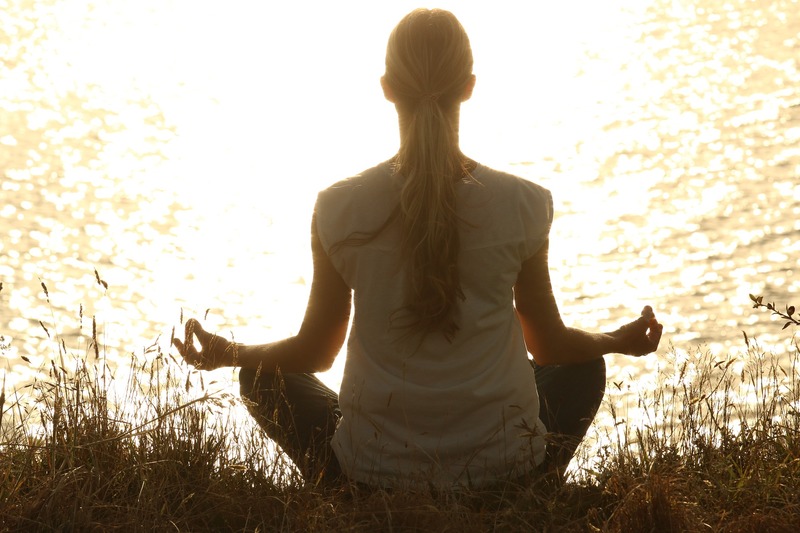 Meditation is one of the most effective and widely practiced stress reduction techniques around. There are many types of meditation to try; the important thing is to pick one that you like and just do it. Meditation is disassociating from your thoughts and letting them go. You can do this with visualizations, such as seeing your thoughts as clouds that dissipate or a leaf on a stream that flows outside of your focus. Labeling the thought and letting it go can help you see it as something outside of your mind and body so it doesn’t take hold of your emotions and set off a stress response and ruminating thoughts. Focusing on your breath as you did in deep belly breathing, repeating a mantra such as silently saying to yourself “peace” as you breathe in and “calm” as you breath out. A walking meditation in nature can be calming if you involve your senses. See the grass, trees, and sky with new eyes, really looking at the detail and appreciating it. Heighten your senses to hear the birds, the wind, and sounds in nature. Smell the flowers and feel the earth beneath your feet. Immersing yourself in nature and allowing all of your senses to be involved can be exhilarating. These stress reduction techniques are tried and true and you can experience a variety of them so you have many to choose from when you are in different situations. Contrary to what the gyms would have you believe, you don’t need an expensive membership somewhere to exercise. Different forms of exercise are stress reduction techniques. When exercising, focus on your breathing and the movement. Let all of your other thoughts go. Allow yourself to get lost in the activity. Whatever you choose to do – walking, lifting weights, following video classes, dancing, bicycling, skiing, running or gardening – you can experience the release of tension and influx of endorphins that accompany the physical activity. It’s not just ‘the best medicine.’ Laughter is one of the more fun stress reduction techniques available! It’s also important to maintain a sense of humor in life; it can be a great way to relieve stress and can make life more enjoyable at the same time. It’s one of those stress reduction techniques that can relieve stress in those around you as well. My favorite is watching “I Love Lucy” reruns. Listening to music has proven benefits, and it’s one of the most enjoyable and effortless stress reduction techniques you can try. Whether you’re listening to meditation music to soothe your body, or using some upbeat music to create energy to get through a stressed day, music can be an excellent source of relaxation. Soaking in a warm bath with aromatic oils and listening to music can feel divine. The other stress reduction techniques listed can help you with your stress response; they can enable you to calm your physiology once you’re already stressed, and perhaps make yourself less reactive to stress that you experience. The technique of reexamining priorities and saying no can help you set boundaries and reduce stress before you experience it. And this can free up your time for other activities. Yoga is one of the oldest stress reduction techniques and self-improvement practices around, dating back over 5 thousand years. It combines the practices of several other stress management techniques such as breathing, meditation, imagery and movement, giving you a lot of benefit for the amount of time and energy required. Experiment with several different forms of yoga and find an instructor that you resonate with to enjoy the experience even more. Stress is not just mental. It could be physical from pain, hot flashes, or being cold. It could be metabolic from high blood pressure, belly fat or blood sugar. Stress can be hormonal, with too much or too little thyroid, estrogen, progesterone or testosterone. It can also be toxic from exposure to lead, mercury, arsenic, cadmium, BPA’s, or even infectious among other things. This is just a limited list of all of the factors that call for stress reduction techniques. Some may involve changing lifestyle habits or a visit to a functional medicine doctor. Take care of your stress before it makes you ill and old before your time. Schedule a consultation to address all of the stress factors in your life.